The software company Simufact Engineering, an MSC Software company, and the consulting firm Ampower work together in the field of simulation for metal-based additive manufacturing. The aim of the cooperation is to increase the use of the advantages of the simulation of additive manufacturing processes, widely known as 3D printing. 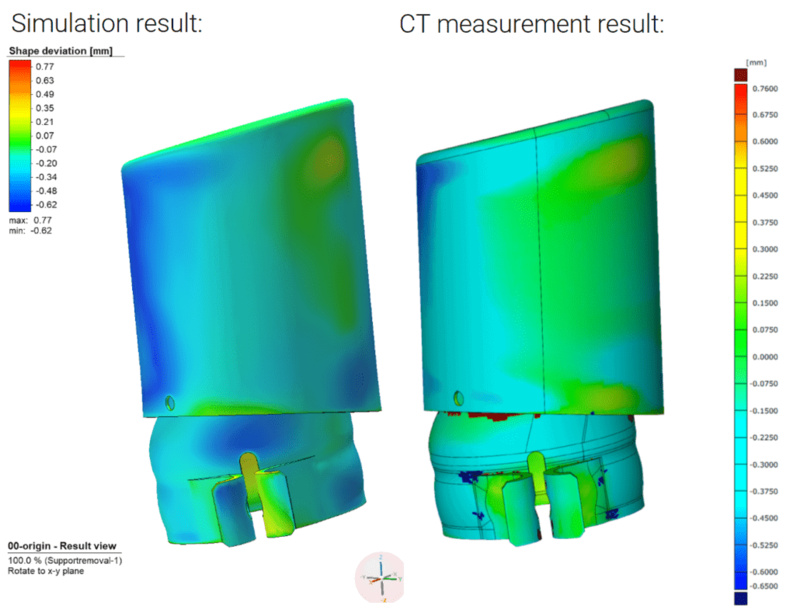 Ampower uses the Simufact Additive software solution to provide targeted support to its customers in the early stages of product development through to optimizing production, thereby leveraging the enormous potential of additive manufacturing. The new offer helps producing companies to draw comprehensive conclusions from the simulation of their additive manufacturing process even without knowledge of the software. The insights gained from the simulation are incorporated in the optimization of 3D printing and thus help to massively reduce production costs and at the same time increase the quality of the components. Additive manufacturing is one of the biggest topics for the future in metalworking industries. The process enables metal components to be “printed” directly from digital data within a very short time. In addition, the new process allows designs that could not be realized with previous production methods. For example, individual implants and dental prostheses are already manufactured using 3D printing. Ampower is the leading consultancy in the field of industrial Additive Manufacturing. Ampower advises their clients on strategic decisions by developing and analyzing market scenarios as well as compiling technology studies. On operational level, Ampower supports the introduction of Additive Manufacturing through targeted training program as well as identification and development of components suitable for production. Further services include the setup of quality management and support in qualification of internal and external machine capacity. The company is based in Hamburg, Germany. More about Ampower at am‑power.de. Simufact Engineering – an MSC Software company – is a global operating software company providing process simulation solutions and services to manufacturing industries. More than 20 years’ experience with providing simulation solutions for the design and optimization of manufacturing techniques in metal processing and a dynamically growing customer base exceeding a number of 800 customers have made the Hamburg (Germany) headquartered company a leader in this business area. The software primarily aims at the automotive industry, mechanical engineering, aerospace industry and their respective suppliers. Typical fields of application for Simufact software are hot forging, cold forming, sheet metal forming, rolling, ring rolling, open die forging, mechanical joining, heat treatment, different welding processes, and additive manufacturing. Learn more at simufact.com and follow us @Simufact.